I attended the University of Missouri-Columbia for undergrad and earned a BSc. in Biological Sciences with a minor in Geological Sciences. After undergrad I worked as a research technician at Washington University School of Medicine for 2 years. I then went to graduate school for toxicology at Rutgers. I am working as a toxicologist at a clinical lab and now I’m here to round out my education and experiences from a more environmental perspective. 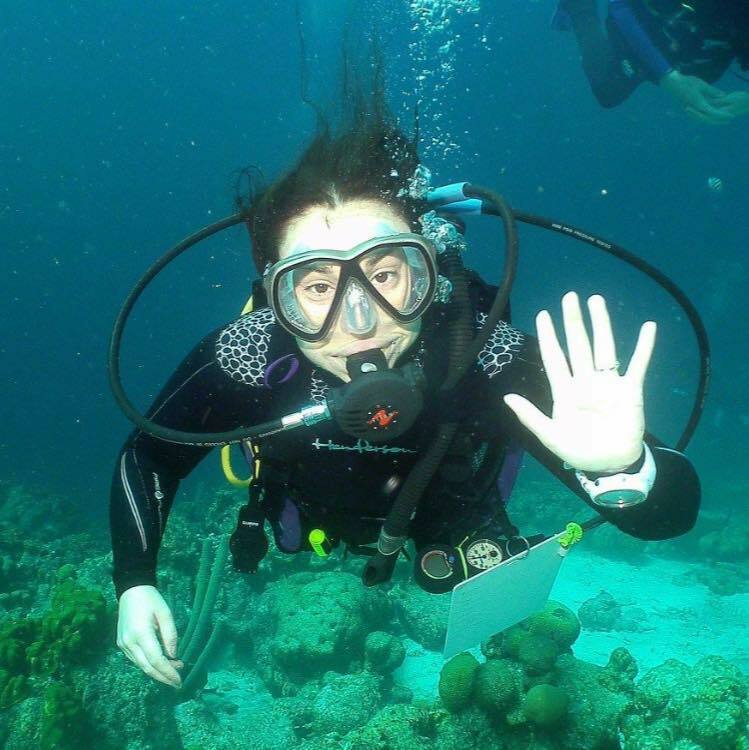 I decided to pursue a graduate degree in marine conservation and policy because I have always been interested in the relationship between the environment and humans. I am interested in ecotoxicology as well as the management and policy that governs these interactions. Also, being a SCUBA diver for >15 years, I’ve seen the changes that have occurred to the reefs and the ever increasing plastic debris in our oceans. After this program I’m hoping to be able to apply my previous research and tox background to policy and management. An issue that gets me fired up is plastic. Skip the straw! It most likely cannot be recycled and very few are made from compostable materials. It is (for most people) unnecessary and causes pollution and harm to wildlife if it enters our waterways. Likewise, reduce consumption of plastic bags- ask for paper or bring your own. Try to by products with less packaging (loose produce vs clamshells). Over, be mindful of your purchases and realize the power behind you purchases!